Buried Desires is back. And now there's even more to love. 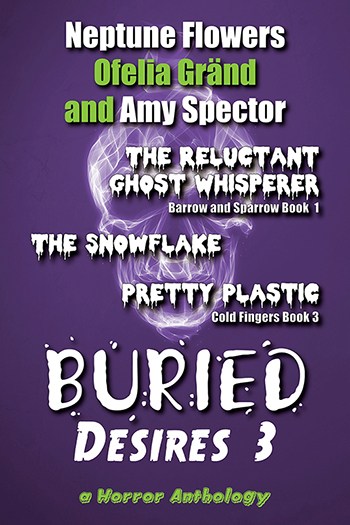 From the ghostly to the grotesque, this time around Buried Desires 3 brings you three tales from horror authors, both old and new, offering up a perfect collection of romance and the macabre. When Adam Barrow employs a fit, capable guy, life begins to look up. His business thrives from the extra muscle, and so does Adam. Being around chatty Johnny really helps the time fly past. Adam is shy and inexperienced in ways of the heart, but very soon his awkwardness eases and he finds himself flirting and having fun. But loving from afar isn't enough, and if Theo wants to win Dylan's heart, he'll need to sweep him off his feet. And what better way to do it than with a sculpture that will leave Dylan breathless and the world in no doubt of Theo's genius? When Victor accepts a job with Pretty, a prestigious private hospital, to work alongside the handsome Austen Poole, Christopher ends up with one more thing to worry about. While it might seem like a dream job, there's something not quite right in paradise, and when Vic starts acting strangely, Christopher will stop at nothing to get his man back. 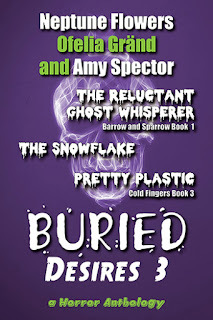 When Amy and Ofelia emailed to tell me they wanted to put out a third Buried Desires, they did so apologetically, as if I wouldn't want to publish it. As if! True, horror is not my thing, although I have discovered that, as an editor, the scarier/more gruesome aspects pass me by, for which I'm very glad. Were it not for this, I may never have had the chance to read these stories, and it is 'reading' for the most part rather than 'editing'. Amy and Ofelia make my job very easy indeed. Better still, for Buried Desires 3, Neptune Flowers joined the roster, and my word, these three stories are corkers. This is a lovely romance featuring builders. That's not really important to the ghostly theme, but it did have me wondering when I was parked in the middle of a building site the other day...what's behind the hard hats and hi-viz jackets? Anyway... On Adam and Johnny's first job together, things get a bit spooky - cold spots, oppressive feelings, that sort of thing, but it's only the start of both their blossoming romance and their mission, should they choose to accept it. 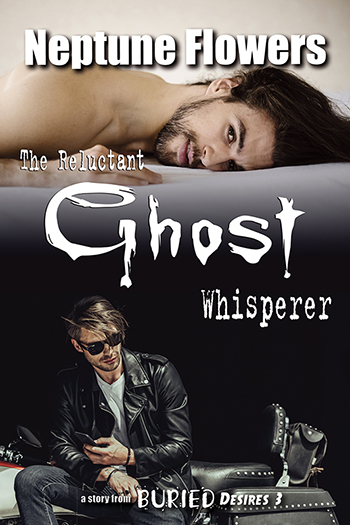 Because ghosts have problems too, and who better to call than a builder with an egg whisk and a sentient motorbike? 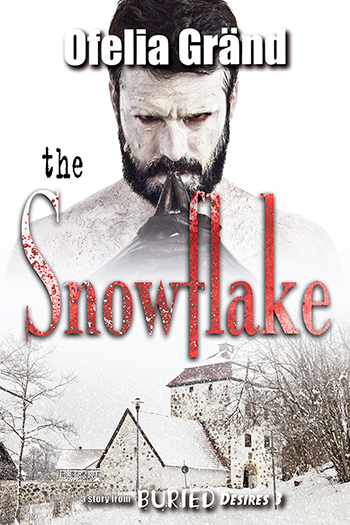 This is, probably, a stand-alone story about an ice sculptor, and it occurred to me, the first time Theo is...erm, struck by inspiration, shall we say, that the line between gifted genius and crazed bloodythirsty psychopath is really, really fragile. Seeing events unfold through Theo's eyes, I kept thinking...I can see why he's done that, his heart's in the right place and then having to remind myself he's actually batsh*t crazy. But my favourite part of this is the ending, which was absolutely not what I expected. Also, Cat. So this is Cold Fingers 3, and it's as darkly funny as the first two instalments. Christopher Minnick's sense of humour is dry as ashes and dust, but he's not dead. Kinda. He's not a zombie, at any rate. In this, as in the previous stories, he finds himself mingling with other not-dead folks - mostly those with whom he's personally acquainted - and there's a great 1960s classic horror vibe that results in me reading Cold Fingers in Technicolor. It's much fun, and scary, of course. I really admire the way the author combines suspense and humour and hope she's far from done with this series. It's tricky for me to say more without spoiling the stories, so I'll leave it at saying this is a great read for Halloween or, indeed, any other time of year from three incredibly talented authors whose stories I will never, ever tire of reading. Buried Desires 3 is available as an ebook and paperback from Beaten Track Publishing and the usual places.